We&apos;re not throwing shade at our sister city. We&apos;re just saying Dunwoody has more shade from that hot, southern sun, what with the trees in our many parks. We&apos;ve also got award-winning restaurants and wine bars. Art galleries and events. Spas and shopping. All of it just a 10-mile ride from Atlanta attractions, so you can experience the best of both worlds. You see, Dunwoody is Georgia&apos;s best kept secret. It&apos;s an escape from the hustle and bustle. It&apos;s Atlanta&apos;s crown jewel. We know that&apos;s a bold claim. We can back it up. Like the succulent in your office cubicle, you need more than fluorescent light to flourish. Dunwoody&apos;s got a whole lot more. Swing from a tree swing or do yoga on the deck at the 35-acre Dunwoody Nature Center. Take a run at Brook Run Park or stroll through the sprawling Donaldson-Bannister Farm. Get literally elevated at Treetop Quest, a ropes course dozens of feet above the ground. After an afternoon of outdoor adventure, wind down at Woodhouse Day Spa, then trade the wide open spaces for a wide open bed at the luxurious Le Meridien. 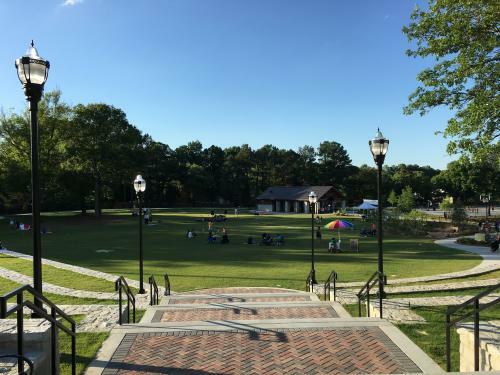 - We know that Dunwoody&apos;s Perimeter Mall is the second-largest mall in the Southeast (second only to the Mall of Georgia), and that many charming shops like Enchanted Forest and Under the Pecan Tree are in close proximity. - We know that Caffeine & Octane is the #1 car show in the country, and that our family-friendly festivals draw folks from all over and from all walks of life. 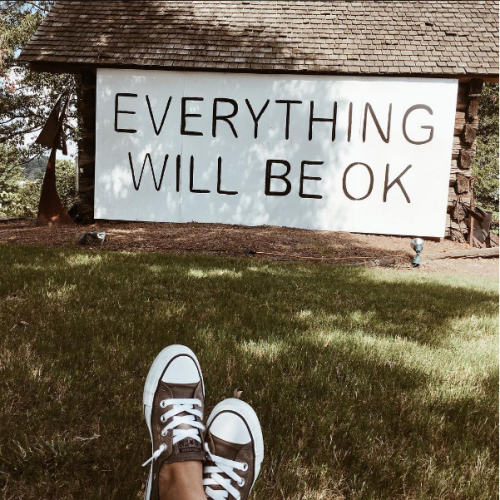 - We know that Everything Will Be OK, thanks to Dunwoody&apos;s iconic mural at Spruill Art Gallery. - We know that Stage Door Players showcases some of the best theater performances in the Atlanta area in Dunwoody. (Cold food too.) We&apos;ve got all kinds of cuisine here in Dunwoody. 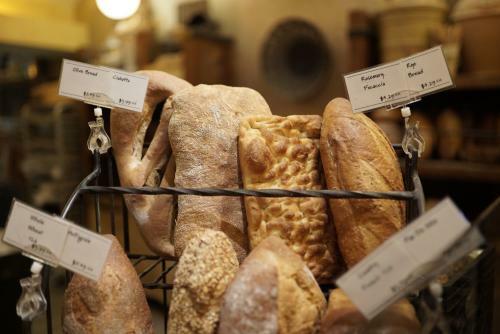 The European-inspired Alon&apos;s Bakery & Market boasts an array of artisan cheeses, breads, wine, pastries and cookies, all made-from-scratch. Vino Venue offers enomatic machines for a unique tasting experience. Novo Cucina has its homemade gelato, and Takorea its unique fusion of Korean and Mexican. 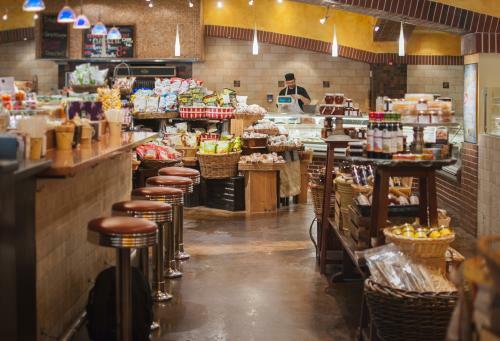 If you&apos;ve got good taste, you&apos;ll like what you find in Dunwoody. If you&apos;re not already feeling that Atlanta Elevated high, go read our blog. You&apos;ll find unique date ideas, vacation inspiration, tips on mastering minimalism or passing as a fancy wine drinker, and a whole lot more. Then book your trip to Dunwoody, Georgia. Atlanta will understand.